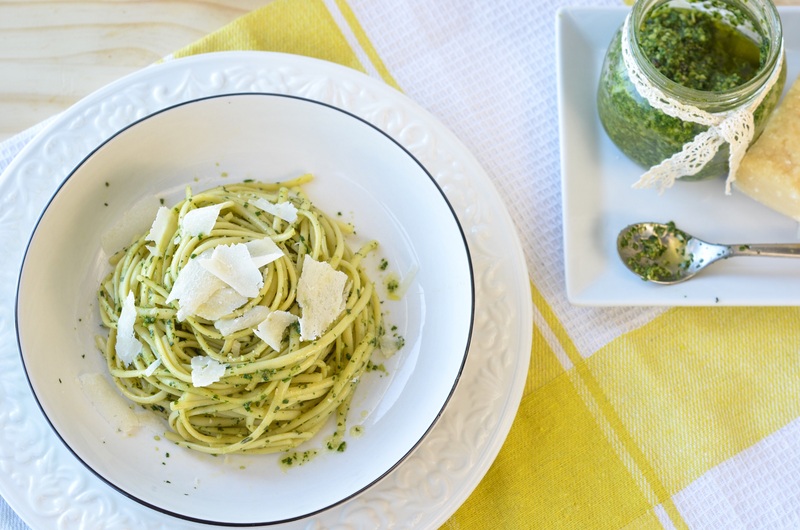 I love the simplicity of pesto. It’s very easy to work with, yet it packs amazing flavours. For this recipe, I added lavender to make things even more interesting. I didn’t add too much of it though, as I didn’t want it overpowering the basil and the other ingredients in the pesto. Where did I get my lavender inspiration? If you’re looking for something a little different to do near the city, or if you’re a fan of all things pretty. A visit to the Terre Bleu lavender farm in Milton, Ontario should be on your list this summer. It’s just an hour’s drive from the city. Make sure to drop by their lovely store, where you can pick up some souvenirs and maybe even a couple of scoops of their lavender ice cream. 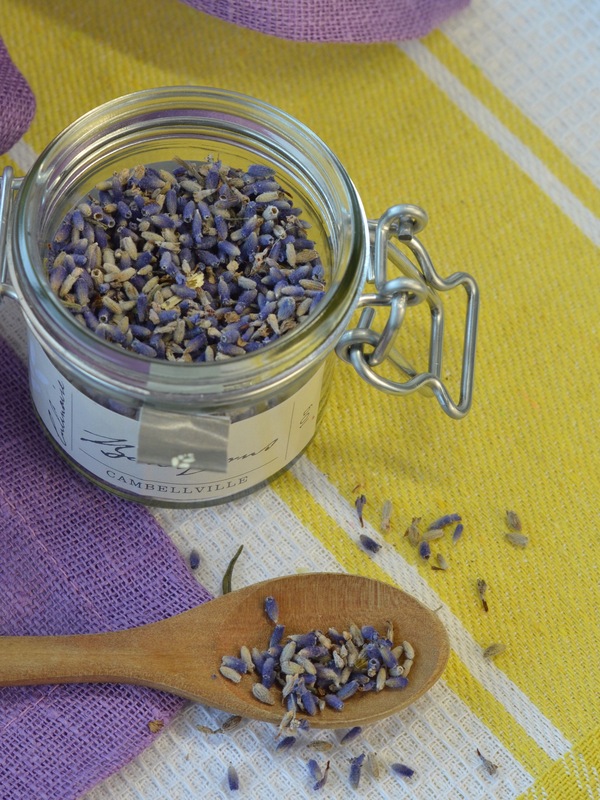 I picked up a lovely jar of culinary lavender, which I used for this recipe. For more information about the Terre Bleu lavender farm, you can check their website. There are numerous ways to enjoy pesto, but I like to keep things simple. I just prepare pasta (in this case, linguine), or for an even healthier option, consider using zoodles. After the pasta is ready, just add pesto! I will be posting other lavender inspired recipes soon. In the meantime, please enjoy this recipe. I promise, something sweet is just around the corner! You may either use a food processor or a blender to make this. Simply combine all ingredients in the food processor/blender and use the pulse option and blend to a paste.